Scotland Excel has published the Invitation to Participate (ITP) for its four-year New Build Residential Construction Framework – and companies now have five weeks to submit their request to participate. The ITP for the framework, which is the organisation’s largest ever contract opportunity, will close on 14 January. Eleven councils have directly partnered with Scotland Excel to fund the development of this framework - a joint approach which demonstrates a commitment to delivering significant new business for the construction sector. Further spend is expected from the other Scottish councils and housing associations who can also use the framework. Scotland Excel has engaged extensively with the construction sector to ensure it firmly understand business needs. The framework has been designed around a commercial model aligned to the industry’s typical pricing structure, with standard templates and SBCC terms and conditions to make it easy for contractors to bid for work packages once the framework is in place. The framework will also address a number of areas highlighted within the recent industry strategy published by Construction Scotland, including: 30 day payment terms, aggregation of demand to ensure a sustainable pipeline of work, and providing local opportunities for Scottish SMEs. An innovative approach to community benefits will also aim to address industry skill shortages while creating employment and training opportunities within the area of each development. 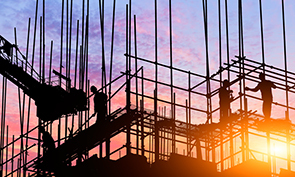 The Scotland Excel New Build Residential Construction Framework ITP was published on Wednesday 5 December 2018 and will close on 14 January 2019. The framework is due to go live in August 2019.